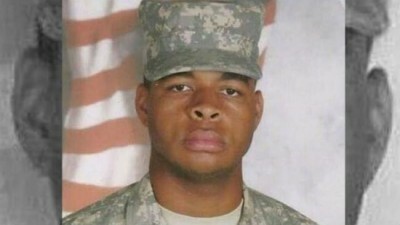 Micah Xavier Johnson, an Afghan War veteran who spent six years in the Army Reserves, opened fire Thursday night on Dallas police who were escorting a demonstration of hundreds of people protesting the police killings of unarmed black men. He killed five police and wounded seven. Two protesters were also wounded as gunfire erupted between police and Johnson, who was heavily armed and wearing military-style body armor. Despite initial police and media reports describing as many as half a dozen snipers “triangulated at elevated positions in different points in the downtown area” and shooting in a coordinated crossfire, all the damage was inflicted by a single gunman armed with an SKS semi-automatic rifle using .223 caliber ammunition, the civilian equivalent of the bullets with which Johnson was equipped while in Afghanistan. As described by eyewitnesses and confirmed by cell phone videos, Johnson approached the line of police, who were in regular uniforms rather than riot gear, and opened fire with his assault rifle at nearly point-blank range. Some police returned fire, inflicting at least one wound, and they followed his blood trail as he fled into a nearby parking structure. The gunman alternately exchanged gunfire with police and negotiated with them for several hours. These talks ended after Johnson threatened to kill more police, claimed that he had planted bombs in the parking structure and throughout the city, and declared that “the end is near.” The police deployed a remote-controlled bomb delivered by a robot, which approached Johnson and then exploded and killed him. The police killings this week were only the trigger, however, for racial hostility and an inclination towards violence that evidently predated them. Johnson was a regular at a local gun range and had been seen by neighbors training on an obstacle course in his back yard with a heavy pack and in camouflage. His online postings reportedly include declarations of support for black nationalist groups and expressions of hatred for whites in general. Friends who spoke with the media said Johnson was not the same man after he returned from a nine-month tour of duty in Afghanistan that ended in July 2014. He enlisted in the Army Reserves in 2009 at the age of 18, becoming a carpentry and masonry specialist in an engineering unit, and was deployed to Afghanistan in November 2013. While never officially in combat, he was well trained in the use of weapons and received five medals and a ribbon for his overseas deployment. The murderous assault by Johnson was actually the second shooting spree on Thursday allegedly motivated by the police killings in Louisiana and Minnesota. Some 19 hours before the events in Dallas, in Bristol, Tennessee, 37-year-old Lakeem Keon Scott, who is African-American, began shooting from a motel room at cars passing on a nearby highway, killing one woman driver and wounding two other people. These events, for all their gruesome and tragic character, must be understood as political acts carried out in a definite political context. First, the killing of the five policemen by Micah Johnson was a crime, an act of individual violence that by its very nature is politically reactionary. As an Afghan war veteran, an eyewitness to, if not a direct participant in, the brutality of American imperialism, Johnson was evidently led to draw the conclusion that mass murder was a legitimate response. The immediate consequences of the attack underscore its right-wing character: it legitimizes police violence, beginning with the killing of Johnson himself; it aids efforts to smear those protesting against police violence; more fundamentally, it reinforces a racialist perspective that obscures the basic class contradictions of American society. Second, the killing of Johnson by a robotic device was itself a crime, an action by which the police served as judge, jury and executioner. There is no precedent in modern US history, although bomb-disposal robots have apparently been used to deliver bombs on an ad-hoc basis by US forces in Iraq. With the robot available, why did the police not use it to deliver tear gas? Or simply wait until the wounded man, surrounded and without access to food or water, surrendered? The police decision to kill Johnson is all the more extraordinary given their claim at the time that he might have been part of a larger conspiracy. His elimination removed the one person who could have shed light on any such plot. At the time the bomb was exploded, three people were in custody as possible accomplices in the attack. They have all since been released. Third, the Dallas events take place in the context of an unrelenting campaign to portray the police killing of unarmed men in exclusively racial terms, even though whites comprise the largest number of those murdered by the police and in many cases the police involved include African-Americans or Hispanics and top officials such as mayors and police chiefs are black. There is a systematic effort, promoted especially by sections of the Democratic Party and their academic and pseudo-left mouthpieces, to treat police killings not as class violence by the state against the poorest sections of the working class—white, black and Hispanic—but as race violence against blacks alone, flowing from the racism and “whiteness” of the police. It is evident that Micah Johnson had absorbed this racialist narrative and based his actions on it. Over the last several weeks, this promotion of a racialized view of police violence and American society in general has reached the point of frenzy, particularly in the New York Times, the house organ of the Democratic Party and the presidential campaign of Hillary Clinton. The Times publishes a major commentary on the supposedly unbridgeable racial divide in America almost daily. The most noxious recent outpouring came in an op-ed column Friday by Michael Eric Dyson, a prominent media commentator and professor of sociology at Georgetown University. Actually, according to figures compiled by the Washington Post, there were more than 500 “white folk” who did not enjoy that “privilege” in 2015, dying after encounters with the police. There have been another 200-300 white victims so far in 2016. What Dyson promulgates most crudely is taken up in myriad forms by Democratic Party politicians, from President Obama to presidential candidate Hillary Clinton on down. They channel the legitimate, justified anger among black youth and workers over police brutality into a racialist narrative, which ends, as in Dyson’s column, with expressions of demoralized helplessness. The logic of this approach is to subordinate workers and youth to the Democratic Party and, in particular, to the campaign to elect Hillary Clinton as Obama’s successor. In television interviews Friday and in an appearance before the convention of the African Methodist Episcopal church in Philadelphia, Clinton expressed her sympathy for the families of the two African-American men killed by police and for the families of the five police gunned down in Dallas. In each instance, she presented the question of police violence as exclusively a matter of race and racial prejudice, declaring that white people (“people like me”) have to purge themselves of prejudice. The truth is that Clinton has nothing in common with working people, white or black or Hispanic. She represents the capitalist class and the military-intelligence apparatus of US imperialism. The back-to-back killings of two unarmed black men, dramatized by cell phone video in the Baton Rouge case and the heart-rending live-stream Facebook posting by Diamond Reynolds, Castile’s fiancée, have provoked widespread outrage, not only among African-Americans, but more broadly among the American people as a whole. But the ruling class relies on the promotion of racialist politics to divide the working class and divert the anger among youth and workers into a blind alley. It is the task of socialists to denounce these racialist lies and fight for the solidarity of the working class—black, white, Hispanic, Asian, native-born and immigrant—against the capitalist system and its political defenders.